Made from recycled material and 100% recyclable with zero landfill waste. 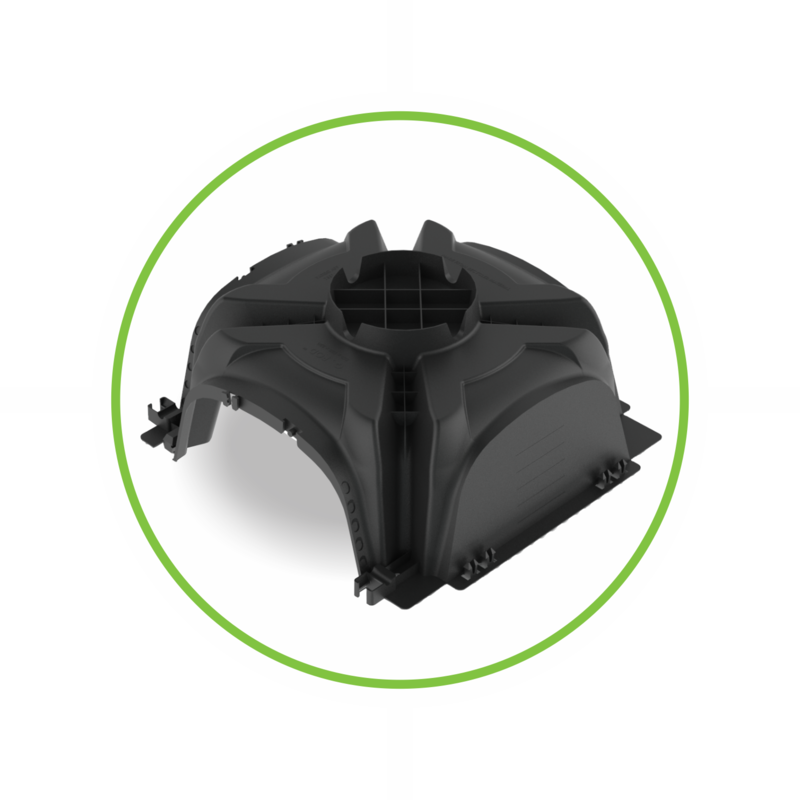 The all-new QPOD floring system is the first choice for the eco-conscious. QPOD™ Flooring System has aligned itself with Allied Concrete as an Eco-friendly alternative to the already tried and proven ‘Raft’ style floor configuration READY Super Slab. READY Super Slab is an above ground engineered flooring system, commonly known as a rib raft foundation, pod floor, waffle slab or floating foundation, that delivers real benefits over a conventional concrete floor and foundations. A grillage of beams within the concrete slab provides a stiffer and stronger final product than a conventional 100mm concrete slab on grade, and because of its inherent strength a deepened perimeter footing can usually be omitted. Already CodeMarked the READY Super Slab CodeMark is now also fully inclusive of the QPOD™ Flooring System. The 4x Closed sided QPODs joined together create the equivalent volume of a traditional polystyrene pod at 1.1 x 1.1m, nothing changes in the steel & mesh structure. Obviously a minimal addition of concrete is used when choosing QPOD™ equating to 0.0278m3 per pod (or; 0.0193m3 extra concrete per finished floor m2) this can be calculated using our QPOD™ volume calculator. CodeMarked READY Super Slab with QPOD™ Flooring System is based on the condition of “good ground”. Various aspects such as, floor design, soil type, ground strength, Liquefaction & seismic factors can fall beyond the scope of the CodeMark and will require additional engineering input and a Specific Engineered Design (SED). For full details on these boundaries please refer to Allied Superslab Technical Manual. When used in conjunction with Allied READY Super Slab, the flooring system is CodeMark-certified meaning building consent authorities must accept it as complying with the New Zealand Building Code, fast tracking the consenting process at council when the conditions of CodeMark are adhered to. Let us know who you are for a free download.